It’s week 5 of #TeamTakeover! We hope that you’ve enjoyed getting to know the team so far! We couldn’t do what we do here at Element without every single person on this team! And to say that they’re awesome is an understatement! 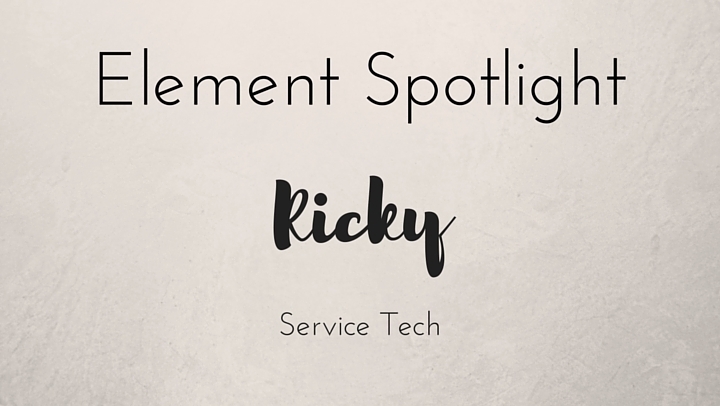 Last #MeetMeMonday, we introduced you to Ricky, our Service Tech! If you see Ricky around Element, don’t forget to say hi! Alien, it was my first horror movie! Hawaii, because why not? I would like to try surfing! Pool and Cave, they look awesome!